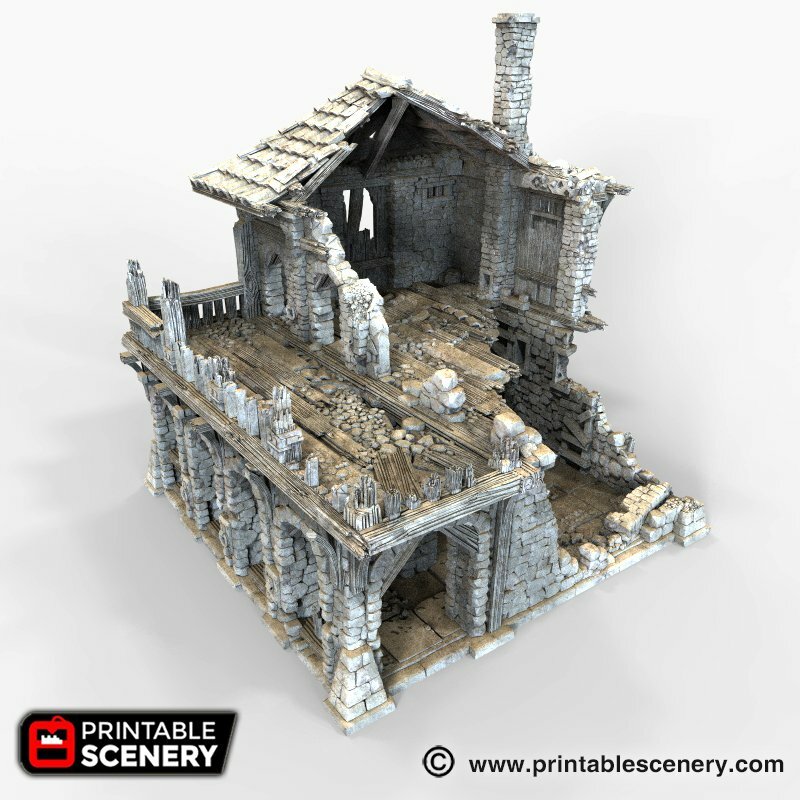 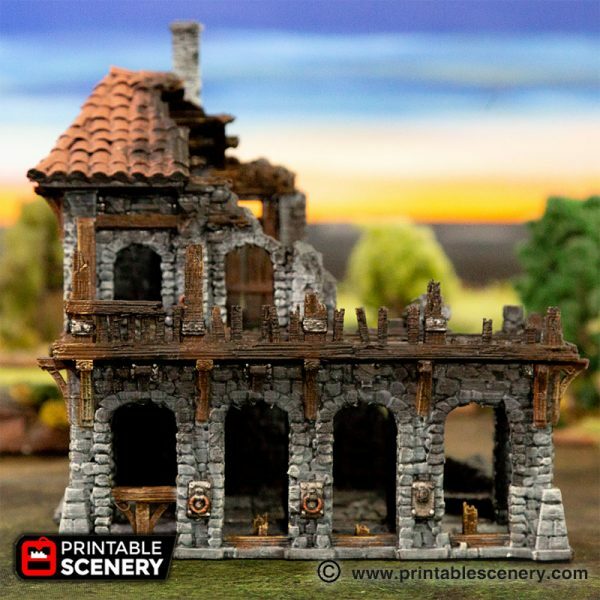 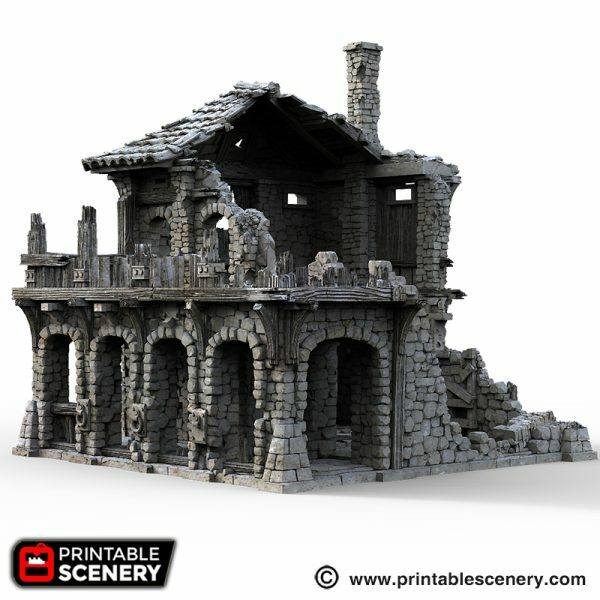 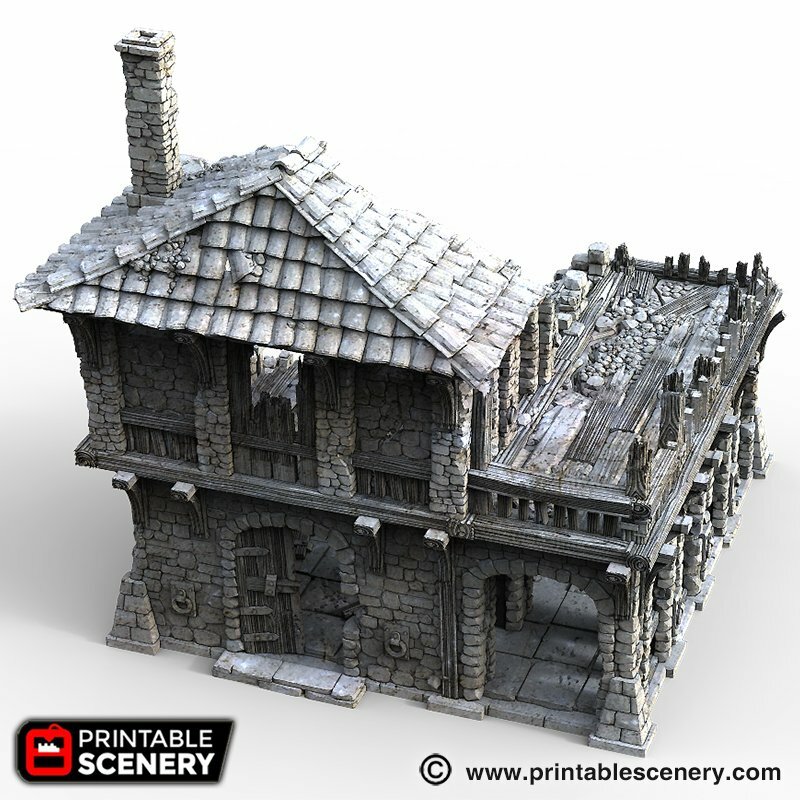 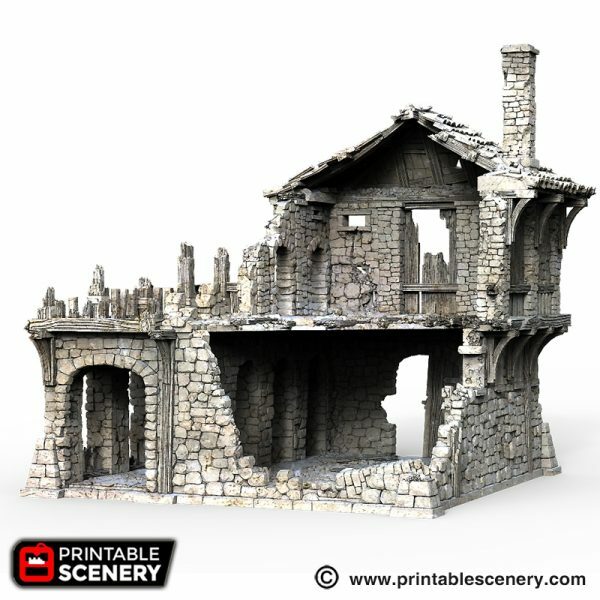 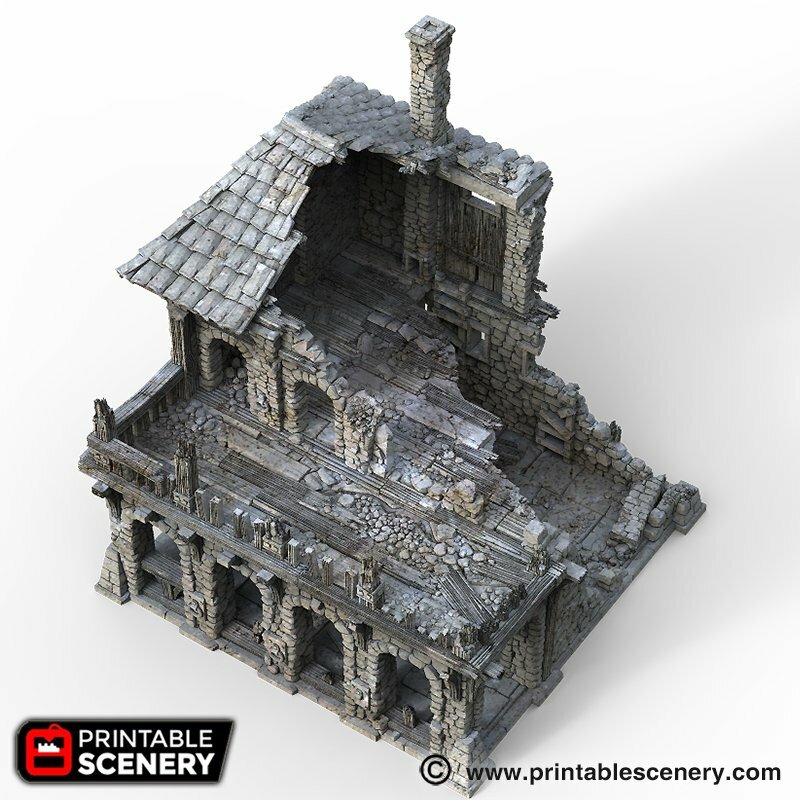 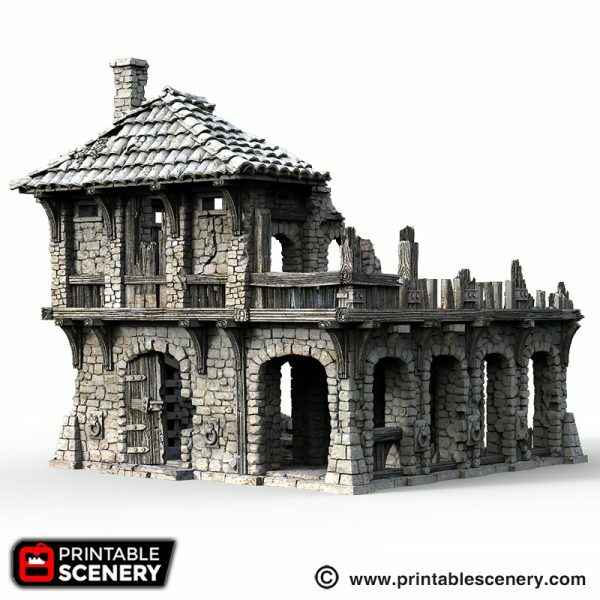 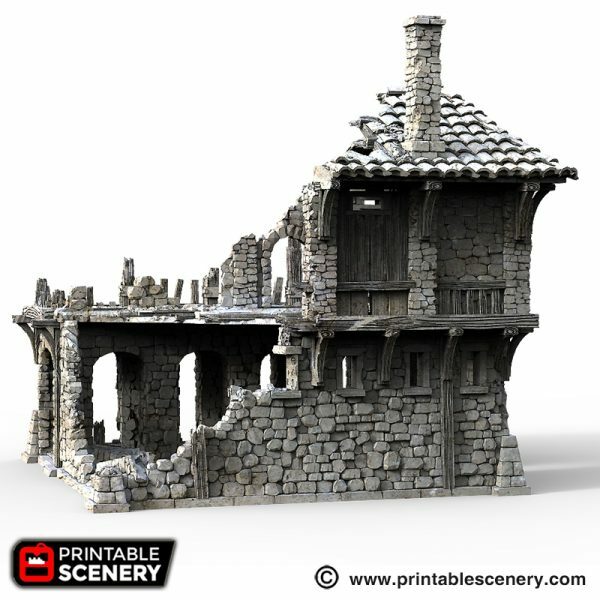 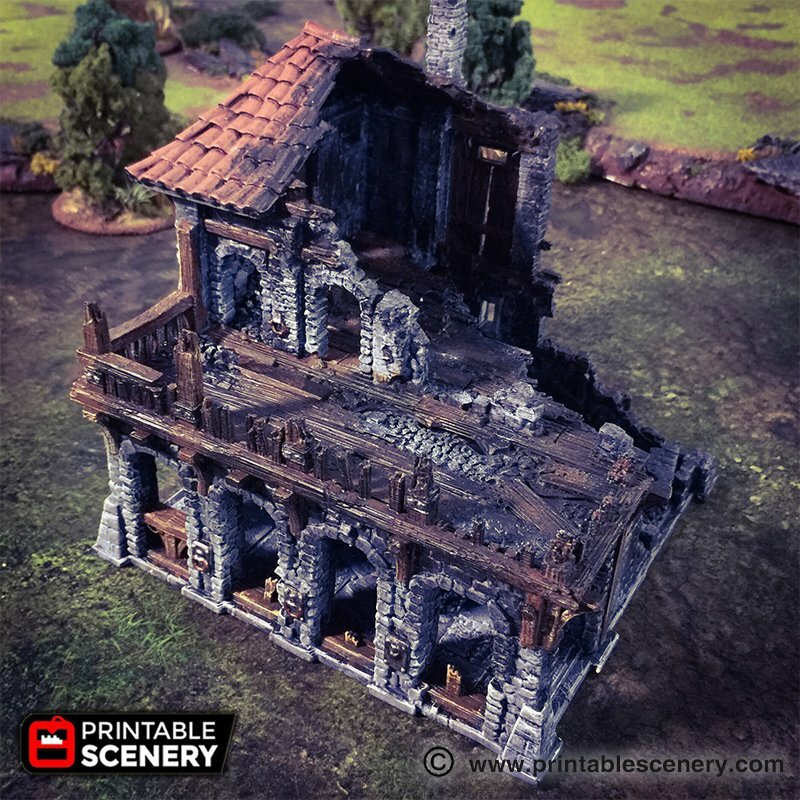 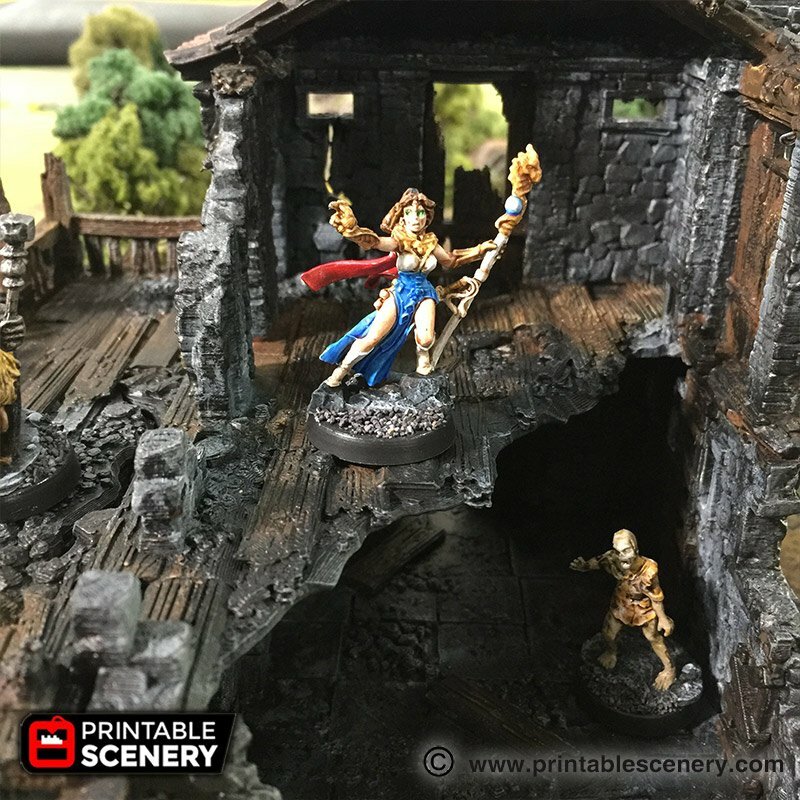 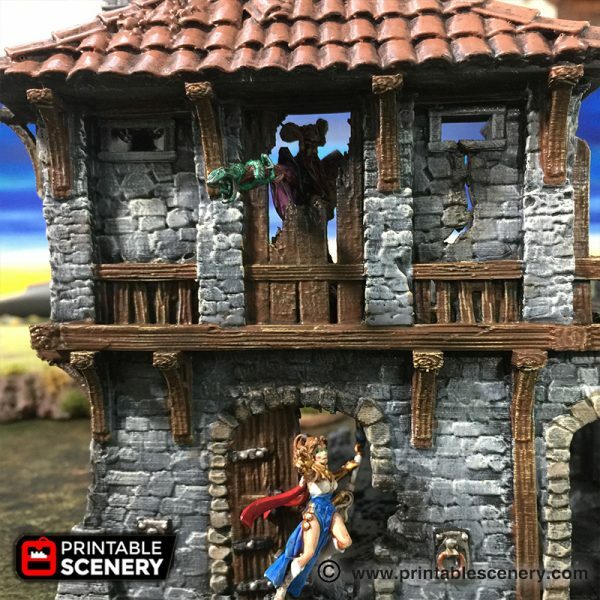 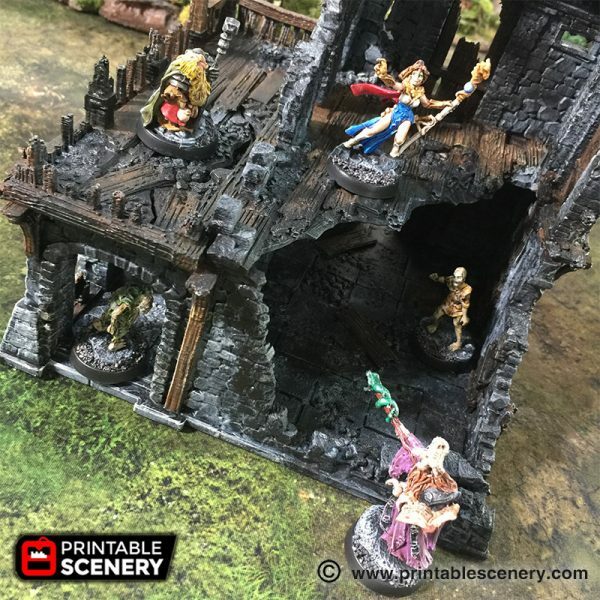 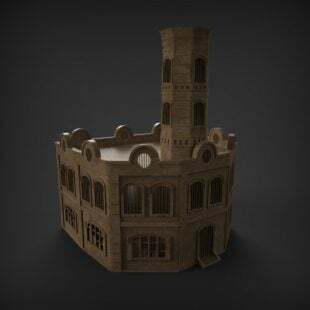 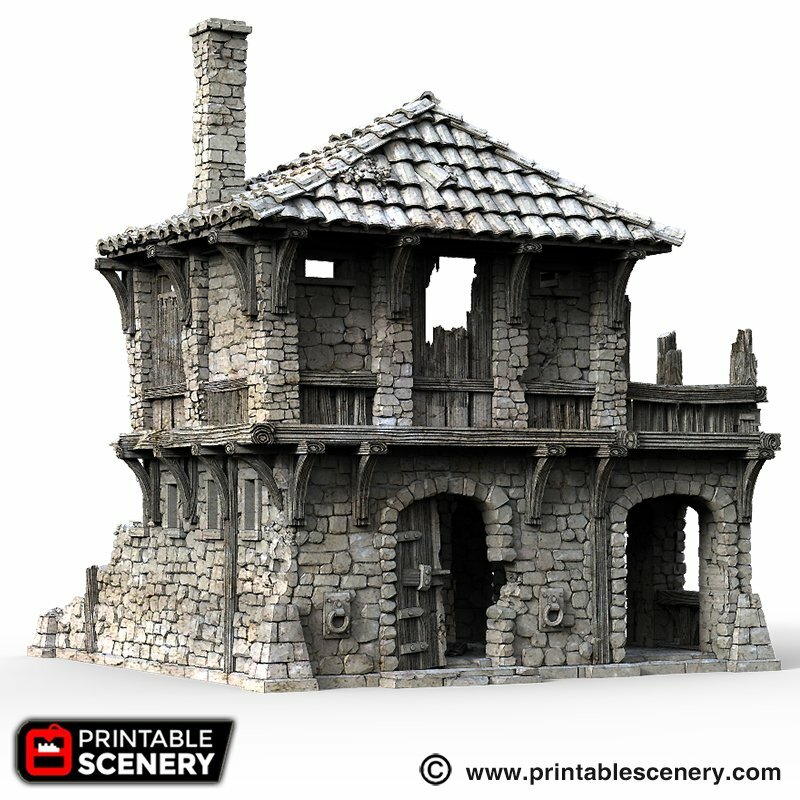 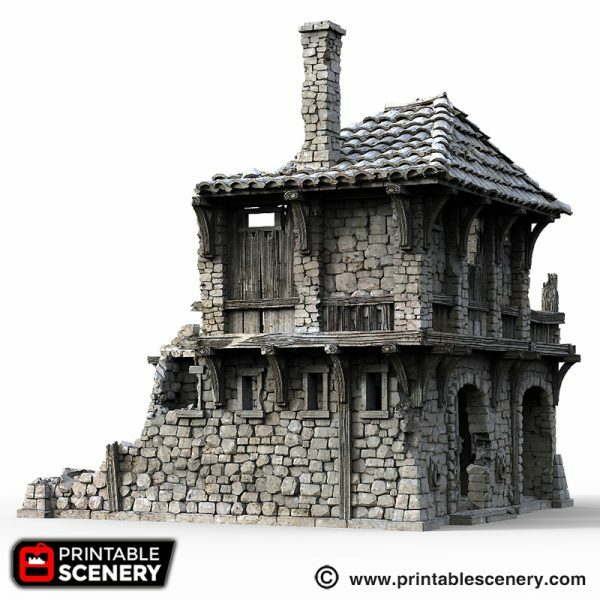 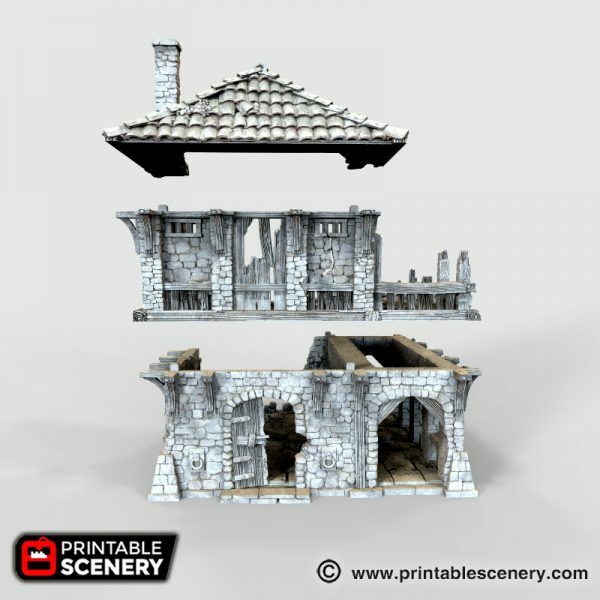 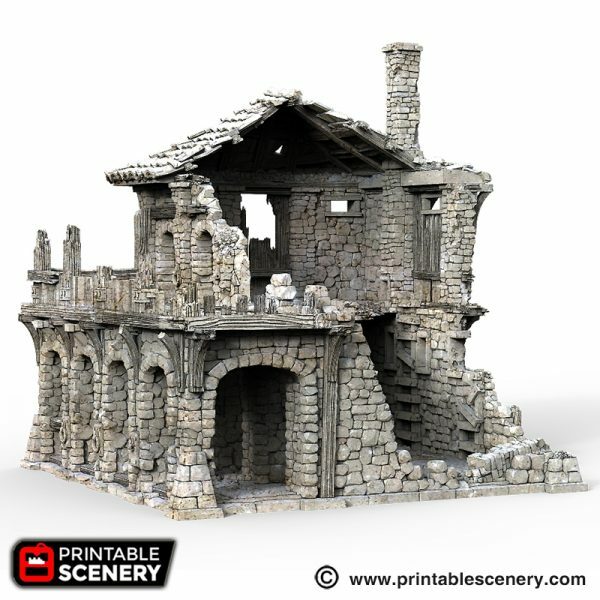 The Ruined Warehouse is a Caribbean styled port building that can be used for a fantasy or historical setting. 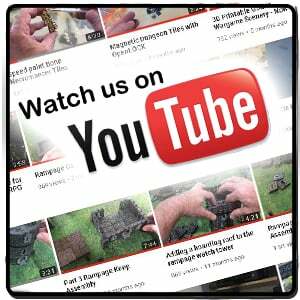 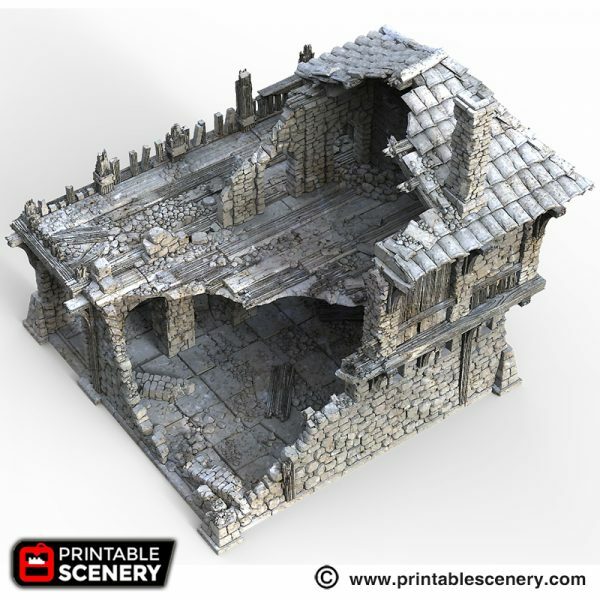 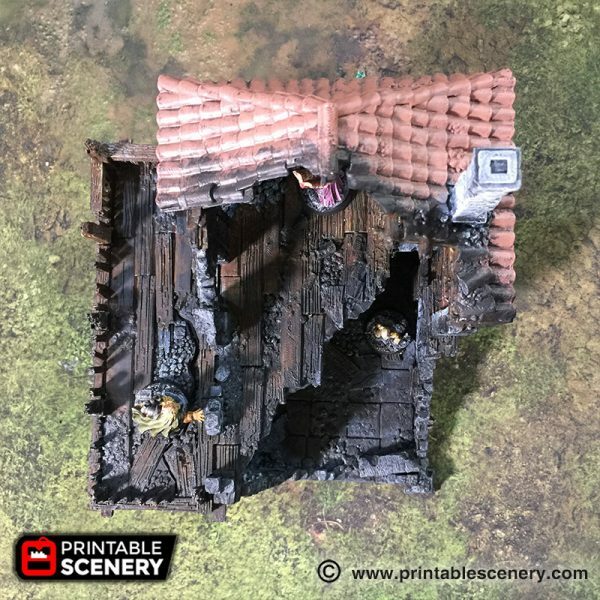 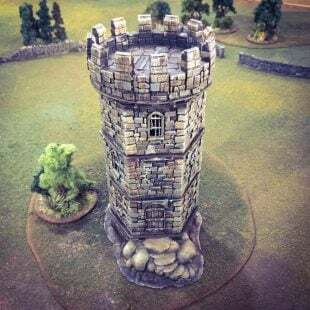 It is an ideal skirmish building, as it has easy access through the broken walls for mini placement and great areas for combat and cover. 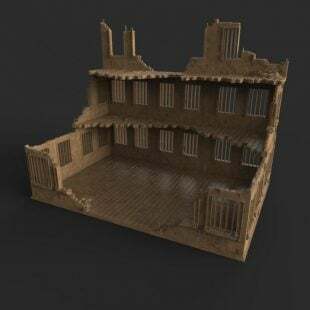 For extra flexibility, this has been designed to be compatible with the The Warehouse, so that parts of the warehouse can be switched out mid-game, to visually represent damage. 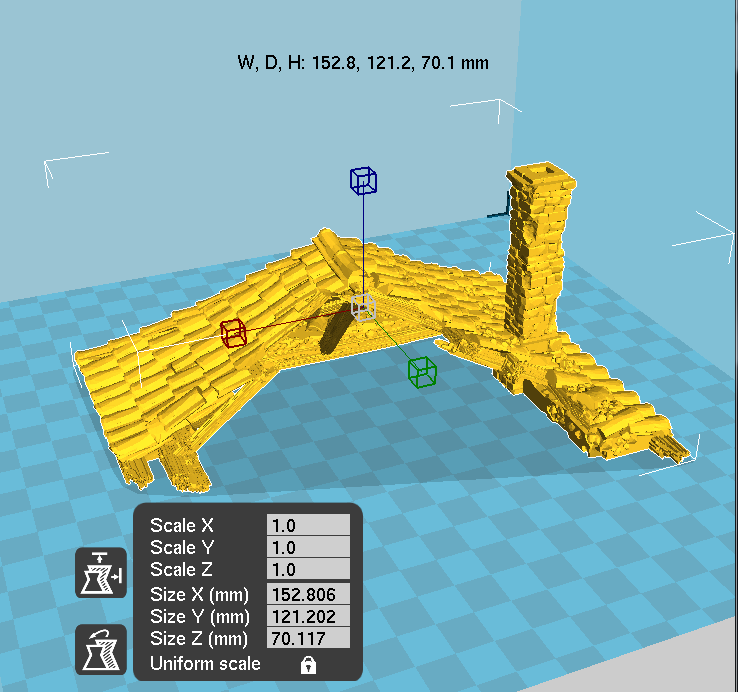 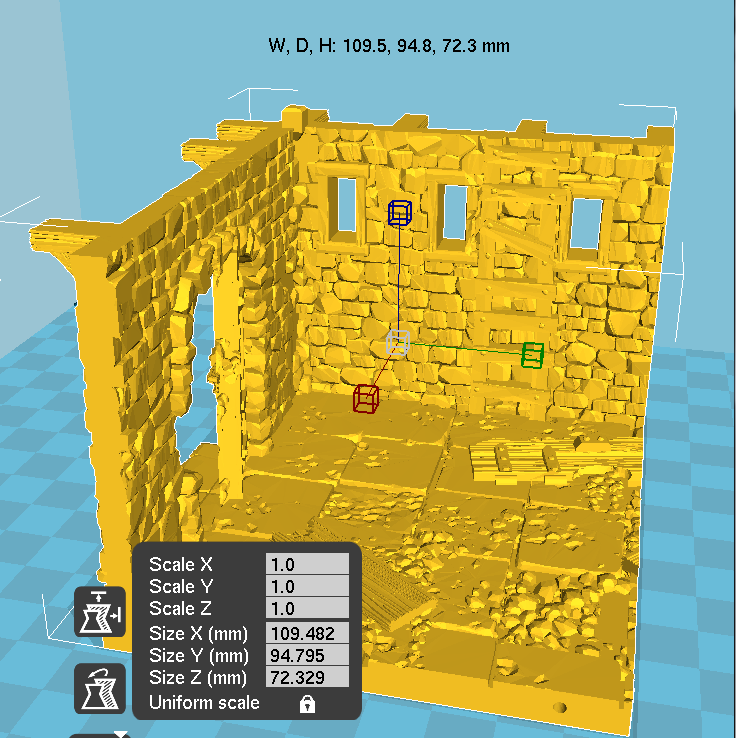 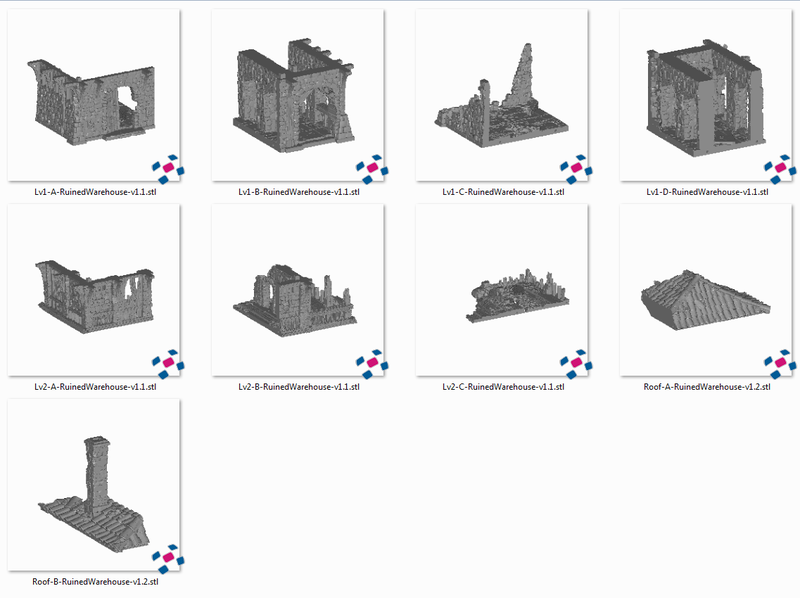 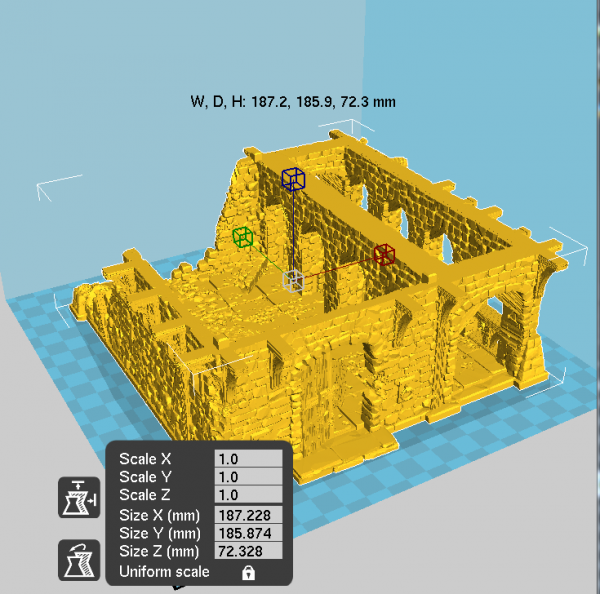 The warehouse will print in three parts without supports. 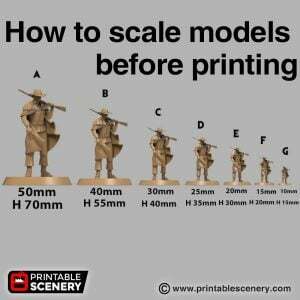 There is an option with smaller parts for smaller printers.